I first came across corrupt practices at CITES in 1987 (CoP.6. Canada) – when I interviewed a sovereign state delegate from a poor African country whose entire two-week long holiday in Canada had been paid for by a well-heeled animal rights organisation. Everything was paid: return airfares; two weeks of hotel accommodations; meals and bar-bills; telephone accounts; even – the delegate told me with a twinkle in his eye – his ladies of the night bills. And in return for all this largesse, all he was required to do was to vote in the manner his benefactor prescribed! I met him again at CITES CoP.7. (Lausanne Switzerland) in 1989; and I asked him if he had again struck a similar bargain. He grinned and nodded. And he introduced me to his new friend, an official delegate from yet another poor African country, who had also sold his vote. Thus, in those days, were official CITES votes purchased. In the mid-1980s, the U.S. Government Accountability Office (GAO) investigated many such bribery cases but they all came to nought because the acts were carried out in foreign lands beyond the jurisdiction of the U.S. government. So the corruption that still occurs at every CITES convention has been known for a very long time. Last year – at Cop.17, in Johannesburg – it became general knowledge that the attendance costs of several poor-country delegations had been sponsored by animal rightist NGOs. And when the Swaziland proposal to sell rhino horn was turned down, some 20-odd sovereign state delegates visited the Swaziland booth and informed Ted Reilly, Swaziland’s head of delegation, that they had wanted to vote in favour of his proposal’s but that their sponsors had forced them to vote against it. So 30 years after CoP-6 (Canada) the corruption continues in a different guise. In November last year, Eugene Lapointe, a former Secretary General of CITES – now President of the IWMC World Conservation Trust (based in Switzerland) – represented South Africa’s True Green Alliance (TGA) at a CITES Standing Committee meeting in Canada. The TGA is a founding member of the IWMC’s Sustainable Use Coalition (SUC) and those of us who joined it, pledged to support whatever workable solutions are proposed to curb the corrupt activities of the animal rights movement at CITES. The attached PowerPoint presentation (here excluded) is explicit and demonstrates how the discussions evolved during the Beijing meeting with the Vice-Chair of the CITES Standing Committee. Based on the content of the PowerPoint, it was rather easy for me to answer the questions raised by the 12 senior Chinese government officials who attended the meeting. In fact the meeting lasted 3 ¼ hours: half of which was devoted to the PowerPoint presentation and, the other half were questions and answers. The meeting in Japan, as Alternative to the Vice-Chair, was conducted with a similar PowerPoint presentation. It also lasted nearly three hours but the discussions continued during an evening dinner with the government officials of Japan. I believe your visits to China and Japan have exposed a cornucopia of opportunities for world-wide improvement, far beyond the expectations that I would ever have dreamed was possible from such a visit. I must congratulate you, therefore, for your great success. The enthusiasm demonstrated by the Chinese and the Japanese with regard to your revelations and suggestions, is an indication that the world is ripe for change in the realm of trade in wildlife and wildlife products; and receptive towards constructive suggestions for transformation at CITES. How we handle these opportunities is going to be crucial to the manner in which the world will progress towards developing an acceptable and common sense approach to the sustainable use of our wildlife resources. We must NOT let these opportunities disappear by default. I believe, however, that the recommendation that the Coalition should draft a Code of Conduct for NGOs at CITES, and that NGO contributions for sovereign state delegation attendances at the convention’s meetings should be prohibited, in both cases, is not good enough. The animal rightist NGOs at CITES are very innovative. They will find ways and means to circumvent any such forced obligations – and we will all, very soon, be right back to where we started. Everyone connected to CITES must be encouraged to re-think just what CITES is supposed to be doing; and how it is fulfilling (or not fulfilling) the expectations that the sovereign states had when they signed up for CITES membership. Unbelievably, one hundred and eighty three sovereign states have been persuaded to hand over to the convention, their sovereign rights to trade, internationally, in their own wildlife and wildlife products; and to allow the convention, then, to control their international wildlife trade (which they have done very badly because of the influence of the animal rightist NGOs.). The sovereign states were also required to abide by a consensus vote that is far from equitable or desirable; that is exposed to the illegal purchase of votes (through bribery and corruption); and that requires every sovereign state in the world to place the responsibility for making non-negotiable management (and trade) decisions – concerned with their most treasured national heritage, their wildlife – into the hands of strangers. These strangers comprise the diverse 182 (other) sovereign state delegations (some of whom have proved to be very corruptible); who have absolutely no understanding of the range state’s wildlife culture and wildlife management practices and objectives; who have no interest in the unfamiliar (to them) species concerned; and who have no accountability whatsoever for the decisions that they make. In my opinion, it was reckless of the world’s sovereign states to have allowed themselves, en masse, to be manipulated into such an undesirable predicament in the first place; and it would be even more foolhardy for them not to try to extricate themselves from it now. THIS is a crazy and intolerable situation that ALL sovereign states need to “re-think” most seriously. And I need to point out that, because of these kinds of irregularities, CITES has given many African states very good reason for wanting to resign. (3) To stop the illegal trade in wildlife and wildlife products. The general current mood of the convention, however, is NOT to promote the wildlife trade – even sustainable trade. Instead – ever more strongly – the majority of the delegates to the convention (the animal rightist NGOs – who control the frame of mind at CITES) openly equate the legal trade with the illegal trade. The convention, generally, tends now to consider that regulating the trade is best achieved by prohibiting it. So, no matter how eloquently, sincerely or rationally a range state may plead for the right to trade (for honest and responsible reasons) in one of its own abundant and valuable wildlife resources (such as ivory and rhino horn) – even when that state is prepared to accept whatever the risks there might be in pursuing such trade – their proposals are systematically denied. The secretariat seems to be far more concerned about satisfying the demands of the majority of the delegates (the animal rightist NGOs) than in providing any kind of service – specifically – to its sovereign state members; services that it promised them when they originally agreed to the conditions that CITES laid down for their membership. So, how many of the three CITES’ promises have been enduringly and satisfactorily met? In Africa over the last 40 years – very few (if any)! And the main reason for this is the fact that animal rightist NGOs – with their fanatical demands that all man’s use of animals (both domestic and wild) be prohibited without responsible reason – have been allowed (indeed encouraged) to accredit themselves to the convention. Furthermore, the animal rightists’ doctrinaire and outright rejection of wise and sustainable use proposals have been readily accepted and promoted by the secretariat. And, whilst the animal rightists’ point of view has been thus approved, the opinions and desires of the range states – the principle members – have been regularly ignored and/or circumvented. There is a very well considered tenet of business administration which states that success only comes to an enterprise when it is led by people who strongly and truly believe in its purpose; and when its employees strive continuously and diligently – as individuals and collectively as part of a like-minded team – to achieve its objectives. Businesses flounder when their members are mere passengers – when they accept employment only for the remuneration they receive and the perks that they enjoy. And businesses crash – they fail terribly – when their employees are saboteurs. A saboteur’s purpose (for whatever reason) is to make sure that the enterprise’s objectives are never achieved. Successful businesses, therefore, do not tolerate passengers and saboteurs – but CITES does! NB: I purposefully avoid discussing in detail, the reasons WHY AND HOW the animal rightists would want to sabotage CITES. Suffice it to say they earn hundreds of millions of US dollars every year from the gullible public every time they contrive a wildlife trade restriction. So, for them, CITES is a money-making racket. What also needs to be said is that, because the animal rightist NGOs have accredited themselves to CITES for the purpose of sabotaging the convention’s objectives, that very fact ensures that CITES will self-destruct over time. And I suggest that that time has already begun! For all these reasons there is, at this time, a great deal of justified unhappiness within the African camp towards the CITES administration! We, and here I include ALL the sovereign state signatories to CITES, therefore, should make a very careful and objective examination of the convention; and the purpose and the activities of its accredited NGOs. The animal rights doctrine tells us very clearly that the animal rightists’ purpose is to abolish all animal uses by man – which includes the abolition of the wildlife trade. Indeed, they are fanatically addicted to this goal. The only reason why an animal rightist NGO would want to be accredited to CITES, therefore, is to sabotage the convention’s purpose. It is no coincidence, therefore, that the convention is sliding inexorably towards becoming an organisation that favours prohibiting the wildlife trade, rather than one which regulates it. It is my contention, therefore, that just trying to shackle the accredited animal rightist NGOs at CITES – by introducing a Code of Conduct for NGOs – will not change their purpose. Extreme fanatics – like the animal rightists really are – will not deviate from their objective. If they remain accredited to CITES they will find some new and innovative way to sabotage the convention. They have to do so if they want to endure financially! If you want CITES to survive, therefore, you don’t want to keep the animal rightists within the convention’s fold. What we need to do with the animal rightists at CITES, is to remove them entirely from participation in the convention’s programmes. NB: Eugene, I would ask you to please consult with a business institution in this regard. 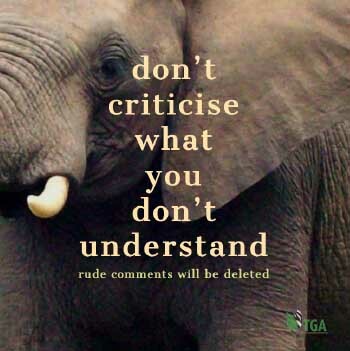 Give them access to a critical evaluation of the animal rightists objectives – vis-a-vis the purpose of CITES (I can supply you with a document that makes this kind of comparative assessment) – and I have absolutely no doubt that they will agree with this, the TGA’s recommendation – which is to rid CITES of the accredited animal rights NGOs entirely . You may not remember this, but I discussed this very matter with you in 1989 – at the convention in Lausanne, Switzerland (when I met you for the first time). So I have had this solution in my mind since those faraway days. My recommendation is that we should NOT try to make the CITES lady half-pregnant – by simply bringing in a disciplinary code for NGOs. We should go the whole hog and make sure that your wonderful Sustainable Use Coalition Initiative should give birth to a healthy baby! My proposal may be deemed revolutionary but I am unrepentant. The issue is far too important for any of one of us to be in any way timid with our demands in this regard. If CITES is to not only survive its current woes, if it is to start fulfilling its promises to its sovereign state members, the animal rightists NGOs are going to HAVE to be removed, completely, from the convention. I recommend, therefore, that we contrive to introduce to CITES a new procedure that requires all NGOs to endorse their commitment to achieving the objectives of CITES; and that they give their support, too, for the principles of the IUCN’s World Conservation Strategy (WCS) (1980) upon which the CITES principles were consciously constructed (even though CITES came into being before the WCS was made public). To this CITES endorsement document can be added your suggested Code of Conduct for NGOs. This total endorsement protocol, would spell out the convention’s original objectives – which are still in force today. It would also explain the commitment that CITES has towards fulfilling its promises to its sovereign state members. (c) To stop illegal trade in wildlife and wildlife products. (c) To ensure the sustainable utilisation of species and ecosystems (notably fish and other wildlife, forests and grazing lands), which support millions of rural communities as well as major industries. If CITES would agree to this requirement it would automatically filter out the unwanted NGOs. And when the remaining NGOs have signed the endorsement, it would commit everybody to the common CITES objectives that are approved by all genuine stakeholders. And the removal of the saboteurs would be in compliance with good business management principles. It would also allow CITES, at last, to function and to prosper in the direction it should have been following – but has not – since its inception. Something quite different: I would strongly suggest that the Sustainable Use Coalition – or the CITES Secretariat – or UNEP – reprimands the American delegation, in an appropriate fashion, for invoking its “Pelly Amendment” document at CITES CoP17 last year. This is a legal protocol that enables America to apply economic sanctions on any country that carries out an act, or makes a pronouncement, which is deemed to be against America’s wishes. I understand it was used on several occasions at CoP17 to force African countries to withdraw specific proposals (such as their intended resignations from CITES last year) of which the Americans disapproved. First of all, such coercive action by one country, to persuade another country to its own way of thinking is, by definition, terrorism. It is also the worse kind of bribery. When this story is read through – and properly digested – I believe very few countries will NOT consider resigning from CITES! CONCLUSION: The TGA is committed to supporting the sustainable use of all living resources (domestic and wild) for the benefit of mankind everywhere; and to destroy the credibility of the animal rights doctrine within the public domain. It models its vision and mission on the provisions of the World Conservation Strategy’s living resource conservation ethic. This is the same foundation upon which South Africa’s National Conservation Strategy is constructed. The TGA, therefore, fully supports the South African government in all its various bids to apply its own national conservation strategy policies in the face of what amounts to gross interference and obstruction from CITES and its multifarious animal rights delegations. Consequently, I would urge South Africa – and all the SADC countries – to withdraw from CITES! The TGA is very proud to be a member of your (our) IWMC Sustainable Use Coalition, and we congratulate you on its (our) accomplishments so far – which I acknowledge are all due to your personal efforts. We will not, however, support any proposal that allows the animal rightist NGOs to persist in CITES. We wish, however, to remain a part of the Coalition, and to contribute where we can towards its further success, but we believe it would be wrong of us to agree to the Code of Conduct proposal, when – with the application of a little more ingenuity – we could get rid of the animal rightists at CITES altogether. I strongly, therefore, recommend that you go the whole hog on this issue, and that you contrive for CITES to purge itself of all animal rightist involvement. Such a success at CITES would focus world media attention on the iniquities of the animal rights brigade; and that would be the beginning of the end for the animal rights movement. What a grand occasion that would be! The TGA’s future activities in this sphere will be guided by the following principle: So long as accredited animal rightist NGO’s exist at CITES, the TGA will continue to urge African delegations to resign from the convention and to paddle their own wildlife trade canoes. If SADC were to resign from CITES en bloc, individual countries would not be singled out for punitive trade embargoes and the world would have to take note of the reasons for such an action! Well done, Eugene, for your successful tour of China and Japan. I am confident – in view of the good reception that you received from them – that, if you informed your Chinese and Japanese friends of these (the TGA’s) recommendations – you would gain their support. RON THOMSON His passion, today, is concerned with creating a better informed society – better informed, that is, about “best practice” wildlife management and the wise and sustainable utilization of our wild living resources for the benefit of mankind. He has a strong and passionate commitment to exposing the menace and iniquities of the animal rights doctrine. He is a founding member of the True Green Alliance (TGA) and, for the duration of 2016, he was its President. In January 2017 he was appointed CEO. 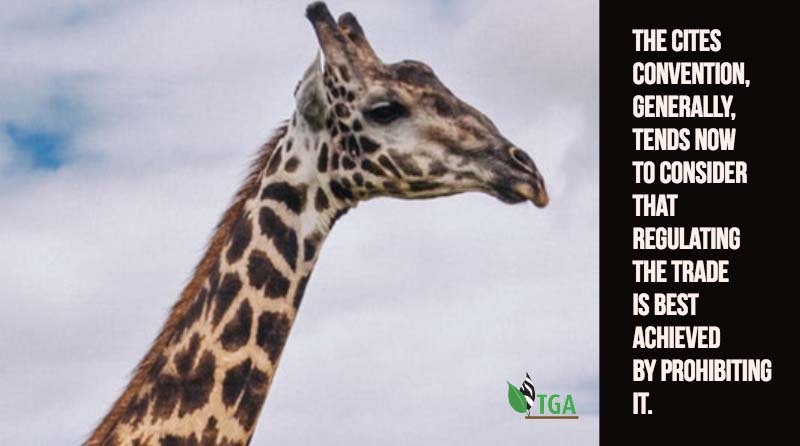 The TGA is affiliated to South Africa’s wildlife Industry insofar as it has undertaken to fight the industry’s battles to overcome pernicious opposition from the South African and international animal rights movement. I know you from before you came to us(Volker Grellmann ) in the Kaprivi!I bought all your management books and one hunting book as well and follow every step and story you write!I am a big “fan” of yours and think there is not one person who could put this issue as well as you can and who got the knowledge from the root up to the tip of these sujects! I want to whole hatetly thank you for what you do for all of us Africans (All coulours and tribes!!) and do admire your “go” and guts to pursue this objective with such filthy adverseries at times!My hat of to you! Just a short word of concern as I wrote that to you and I think we spoke about it on the phone!Like CITES has to watch out who is in their midst (animal rights NGO’s) we, TGA has to watch out who is joining your organisation (the hunters or hunting companies and or individuals bad praktises and reputations! )They could bring bad light onto your organisation because they hide and operate under your clean mind and agenda!They put your excelent organisations name on their booth or company brochure and if misconduct is conducted by them the adversaries (animal rights groups ,NGO’s) got a strong point to make the organisations point of argument very weak and untrustworthy! Sorry,to say this but I met some people who said they are supporters and part of your organisation but I think that they don’t belong there as they are in it under all means and not hunting with susstainable use in mind etc. !That is why I write this!I think your Organisation and goals are aplaudable and I can only support every word you say but be carefull of the rough element in our game and hunting fraternity who “ cammo” themselfs or their companies with your alliances “beautifull” feathers! Please understand it only as constructive critisisam and not negatively!Keep on writing as this will show us and our future generation all about our beautifull nature and how you have fought to save it!!! We have to take the rough with the smooth. We either have to risk or not achieve. But thank you for your kind words. They are much appreciated. There is Absolutely no Scientific Reason NOT to Cull Elephants.